Peregrine falcon in American chestnut. 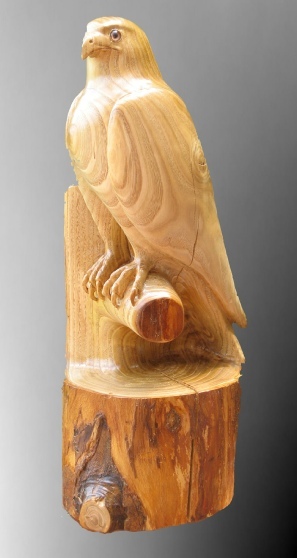 This full-sized peregrine falcon is carved from an American chestnut log that is about ten inches in diameter. The height of the carving is twenty-four inches. This is the first carving in which I have inserted glass eyes. I plan to continue using glass eyes because it makes the carving look more alive.